Japan and Canada's economic partnership continues to grow with the new CP-TPP trade pact. Japan is Canada's largest source of bilateral foreign direct investment and is among Canada's top 5 trading partners. There are over 90 Canadian companies with a significant presence in Japan. 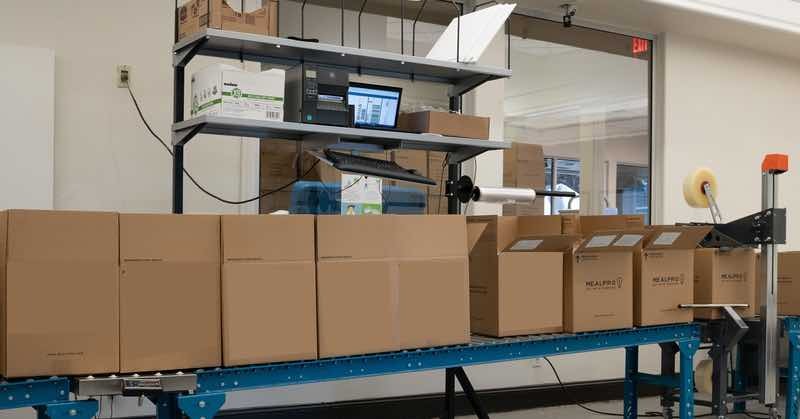 Canadian and Japanese companies rely on low cost parcel delivery to strengthen their economic connection between customers and suppliers. Jet Worldwide provides low cost parcel shipping from Tokyo, Osaka, and all Japan for delivery to Vancouver, Toronto, Montreal and all of Canada. As the national postal service, Japan Post offers low cost delivery to Canada for small parcels. Canada falls into Japan Post's "Third Zone." 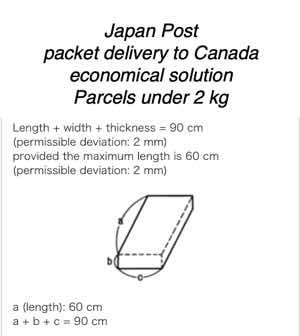 Japan Post "small packet" offers a low cost for shipments sent to Canada under 2 kg. Airmail, Surface mail and Economy Air (SAL). The maximum weight limit is 30 kg (call our team for rates for heavier parcels shipped from Japan to Canada). Shipments shipped via Japan Post to Canada are imported and delivered via Canada Post under United Postal Union agreements. FedEx and UPS are North America's largest carriers and offer reliable parcel delivery from Japan to Canada. However, for small and medium size companies shipping from Japan to Canada, FedEx Japan and UPS Japan can be expensive. UPS offers similar express and economy delivery options to Canada when shipping from Japan. Get a quote for low cost economy delivery from Japan to Canada. 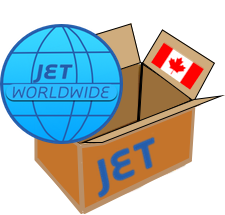 Jet Worldwide provides low cost option for heavier parcels (more than 5kg) sent form Japan to Canada. We also offer value added services such as time specific pickup, short term warehousing, packing/ repacking and domestic distribution. Purolator is one of Canada's leading domestic carriers and offers international express delivery via partners (such as UPS). Goods imported to Canada from Japan are subject to import duties as well as federal and provincial sales tax. Most goods under $20 CAD can be imported duty free. Goods valued under $2,500 can be imported via the Low Value System / LVS express processes. 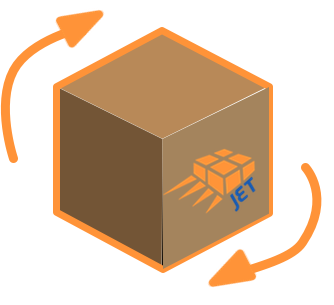 Via Jet's Delivery Duty Paid (DTP) Service, you can choose to pay the import fees on behalf the receiver of the parcel. Jet Worldwide can provide warehousing and distribution to Japanese companies seeking domestic distribution to Canada. 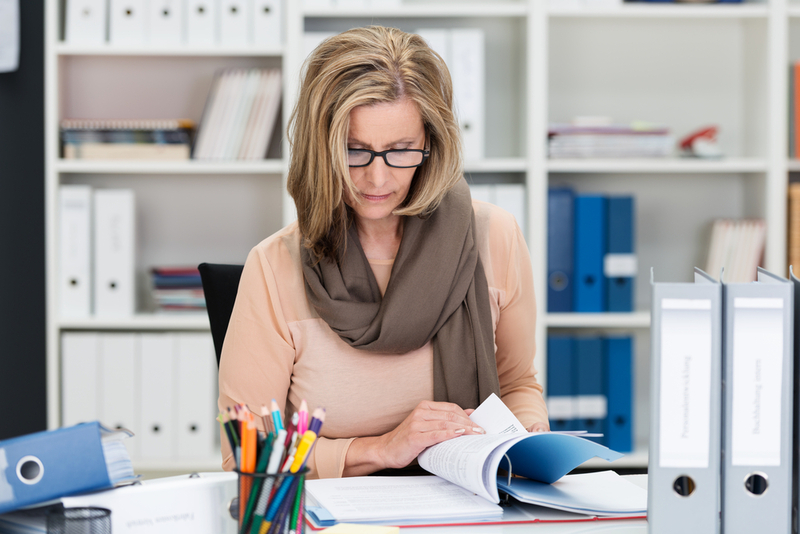 Goods approved with proper “proof of origin’ supporting paperwork can be exported from Japan for duty free clearance in Canada. 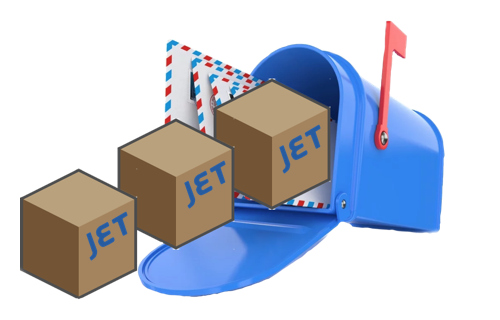 Jet Worldwide helps Japanese companies access the Canadian market through low cost parcel delivery and clearance programs for e-commerce parcels.